For the situations when the sales representatives want to offer products which are not in stock or have a complex degree of technical characteristics, the communication between sales and purchasing department is crucial. A 100% custom web based software can solve this issue giving you the possibility to increase the success rate of quotes. Instead of hours spent on the phone or tens of emails between the salesmen and the acquisition department in your company, a tool for communication will fit perfectly. will the technical department receive all the infomation needed for a quote ? will the sales agent send the right offer to the client ? the client is going to receive faster the quote ? 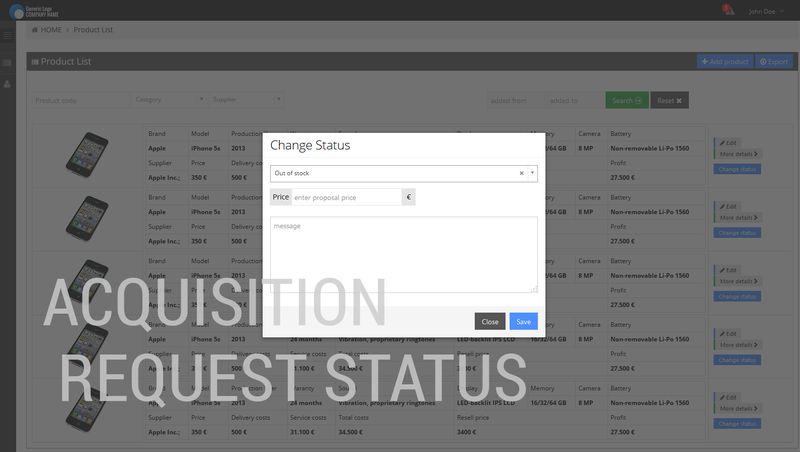 We can set a flux of request forms from the sales department and response forms from the acquisition department, customized for your company. 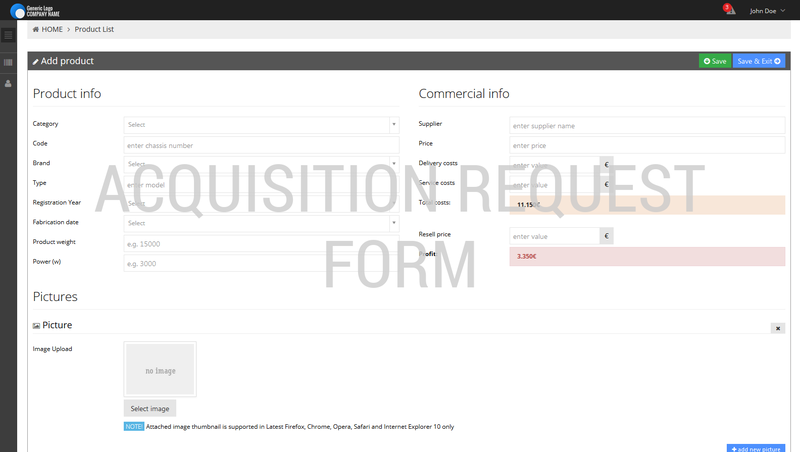 By setting a form with specific fields that must be completed by the salesman, you instruct your employees what to ask, in order for the acquisition person to know the exact information is needed to start looking for the desired products. 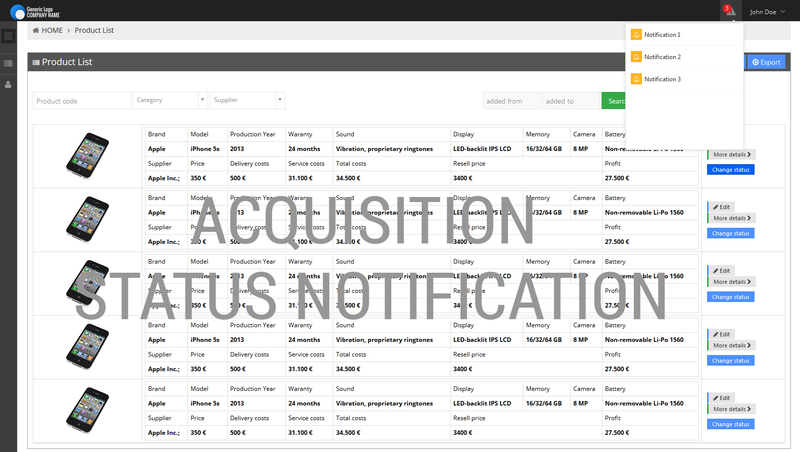 Instant notifications in the application and by email will allow the users to be easily updated with the new requests, their response and status of the acquisition. You will be able to follow what inquiries are on course, what are the ones that have been solved and what are the ones that haven’t. 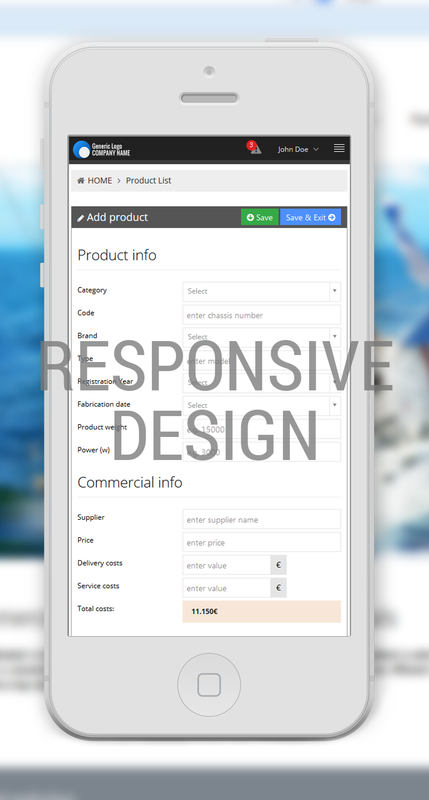 A specific report for this module can easily offer you the information of what products are often desired by the clients and are not available. CLICK on the picture below for SCREENSHOTS ! Building a custom online application is the best choice. It will perfectly fit your business ! Don't hesitate to contact us for a free evaluation. Send us a brief description of your project and we will get back to you with a tailor made solution and a budget estimation.